Founded in the 1960’s we have been developing farm trailers, grain trailers, silage trailers, and manure spreaders to suit the changing needs of modern agriculture. Our objective is to manufacture high quality agricultural machinery with modern functional designs that will deliver reliable and efficient performance. 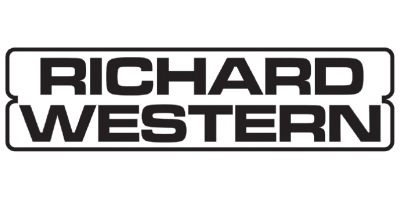 We recognise that our customers operate in a changing and challenging environment and with our own in house designers we continue to incorporate improvements that will deliver benefits in terms of performance and operation to ensure that you get the best from you Richard Western machine. Based in Suffolk, England, UK, we design and manufacture our range of machines including grain trailers, rootcrop trailers, grain chaser bins, silage trailers, dumper trailers, muck spreaders, dual spreaders, field runners and transfer wagons. We are proud of our reputation for producing machines that are robustly built and will give trouble free performance. Our factory contains the latest computerised technology for design and fabrication which in turn allows us to use intelligent design concepts that mean you get the benefits in machine performance. As well as manufacturing all our agricultural machines in house many of our components are also produced in house which gives you a reliable back up service for your Richard Western machine. Our products are finished to the highest standard using quality fittings and finished in high quality two-pack paint. Our final painting process is only carried out after each machine has been completely shot blasted and a two-pack undercoat has been applied. This attention to details in the final preparations ensures that your machine will look good and stay looking good. We have more than 40 years experience supplying machines for agriculture and we are available to help you with your requirements and specifications to ensure that you get the machine best suited to your individual requirements.